Katsuya Kitamura no longer works for NJPW. But what were his reasons for leaving a comany that had so much faith in him as a talent? We recently reported that rising New Japan Pro Wrestling star, Katsuya Kitamura, was no longer with the promotion. Since that time, new details have emerged as to why the former Young Lion, and winner of the 2017 Young Lions Cup, departed NJPW. On the latest episode of Wrestling Observer Radio, Dave Meltzer revealed information regarding Kitamura’s reasoning. Meltzer explained that Kitamura broke his leg in a scooter accident, which is why he hasn’t competed since March 2018. He and his partner, Manabu Nakanishi, would suffer a loss in that matchup against Tomohiro Ishii and Toru Yano. Despite not knowing whether Kitamura would be able to wrestle again, NJPW still offered him a contract. It’s said that the situation had similarities to Daniel Bryan, with Kitamura perhaps not being cleared for an extended period of time, if ever. 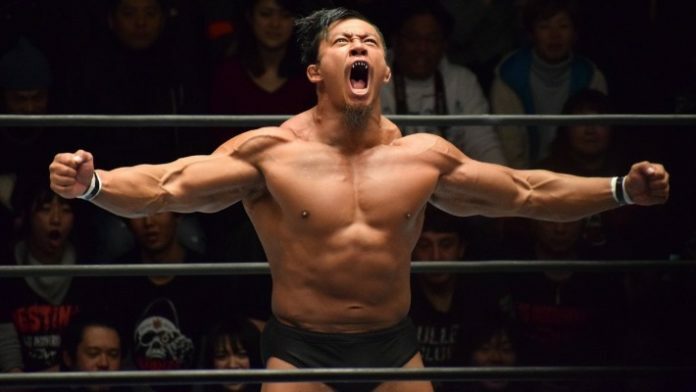 Meltzer added that Kitamura supposedly feels ready to compete and doesn’t want to wait for NJPW to make the decision that he’s capable of an in-ring return. It’s most likely that he will sign with another Japanese company that is willing to allow him to wrestle. Kitamura was an undeniable standout amongst the Young Lions. He had a charisma, size, and ability that saw him being clearly prepared for big things within NJPW. That scooter accident, however, has unfortunately acted as a harsh end for his New Japan journey.